It doesn’t get any better than winter in the Whitsundays. It’s our Number 1 best kept secret! 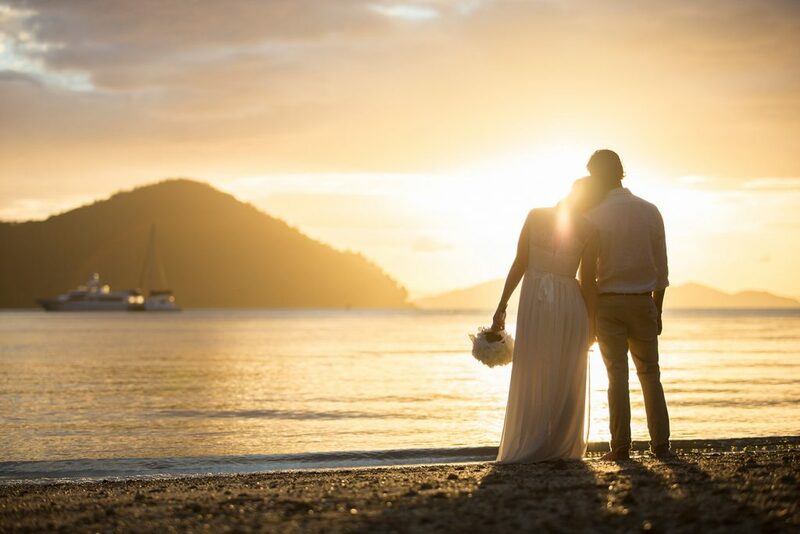 Here are our top reasons why you should seriously consider a Winter Wedding in the Whitsundays. The days are warm, with beautiful clear blue skies, sometimes with not a cloud to be seen. It’s what we call the dry season, so rain is rare between May and September. Escape the cold and marry in wonderfully warm temperatures that are just right for a wedding gown and three-piece suit. 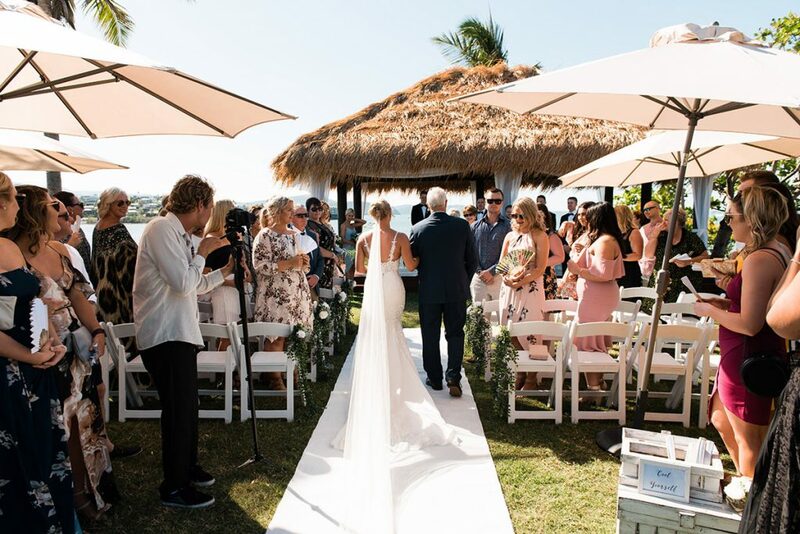 Couture wedding gowns, a larger selection of season appropriate flowers and long lasting makeup are just a few of the perks of holding your destination wedding during a Whitsunday Winter. 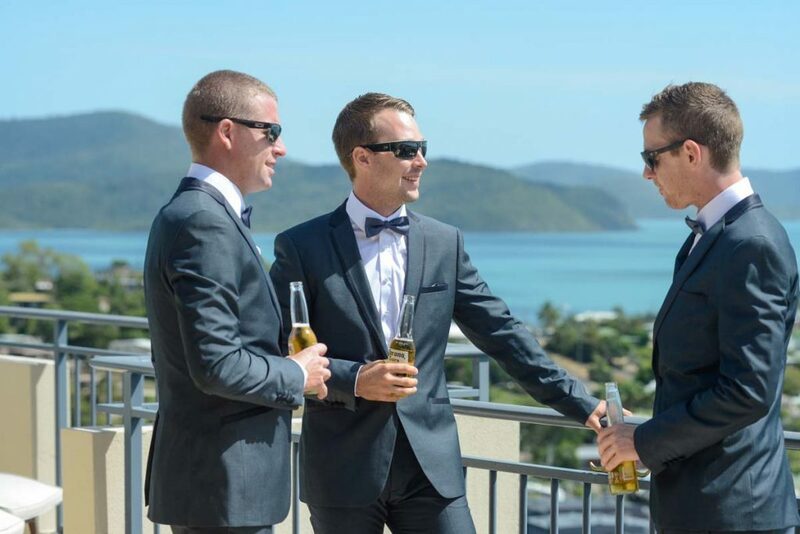 You can comfortably host a black tie wedding in the Whitsundays in the Winter months. Not only will you and your loved one be able to bask in glorious winter sunshine but your guests will too. Who wouldn’t want to escape the depths of winter and have a short break in a tropical paradise? You can absolutely count on the fact that you will get wedding rave reviews forever. Let your guests know about Winter airfare and accommodation deals and they will love you for planning them a very affordable destination wedding holiday in the Whitsundays. The region is serviced by daily direct flights from Melbourne, Sydney and Brisbane and Winter travel sales are generally released the New Year. In spite of point number 1 above (our glorious winter weather) the winter months are, in fact, our quieter time in the Whitsundays, so availability is great across a wide range of accommodation options. The Whitsundays offer accommodation ranging from Tourism Award winning caravan parks to 5-star luxury apartments overlooking world class vistas. Browse our accommodation partners who are experienced in catering for wedding parties. 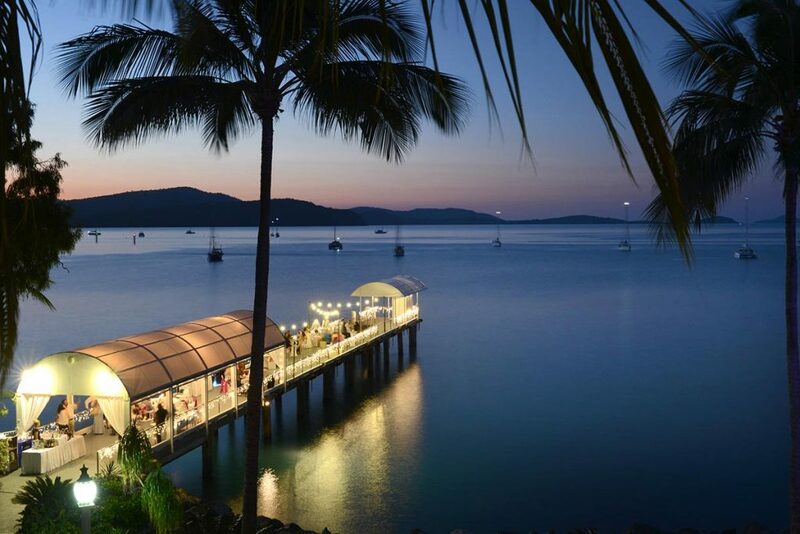 May, June and July are considered Low Season in Airlie Beach (in spite of Point 1) so massive savings can be made on accommodation stays and local day tours. There’s something about the light in the Whitsundays during the winter that you can’t quite put your finger on. The vibrant blue skies lend a crispness to the already stunning island and water views. And the sunsets are amazing. Photographers in the Whitsundays are very adept at ensuring the backdrop that nature gives us each day is used to best effect in your photos. Chat to both your photographer and wedding co-ordinator beforehand to decide the best spots for photos, given the time of day. With the sun angled lower in the sky during Winter, the sunsets are even more magical and last longer than in Summer. Pack more punch into your party! The cooler weather during winter means you can start your wedding that bit earlier, say, about 2pm (If you are marrying outdoors, your wedding co-ordinator can assist with the best ceremony locations to make the most of natural shade). 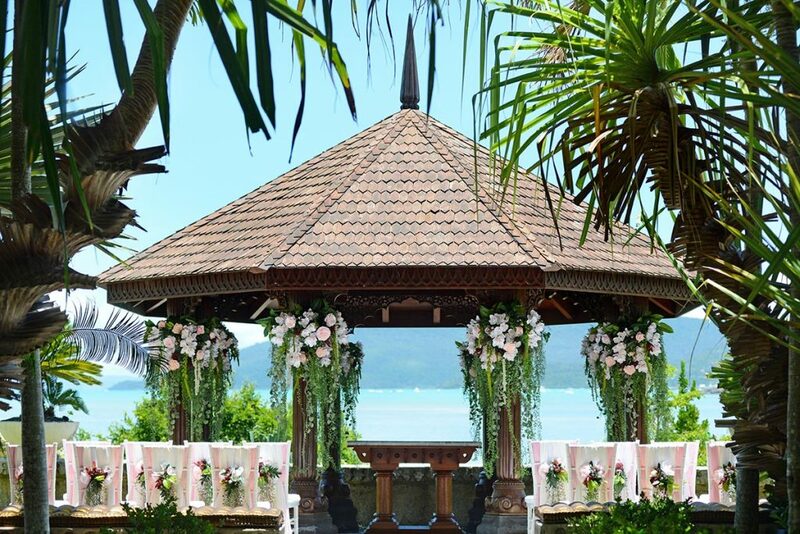 This means you can be sitting down at your reception with a glass of chilled champagne by about 5pm (allowing an hour for post-ceremony mingling and photos) and watch the sun go down over the Coral Sea.